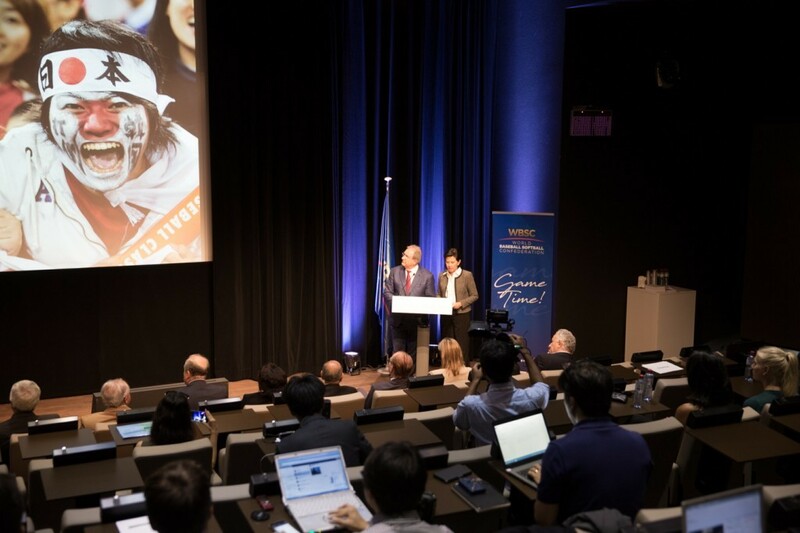 Ensuring a round-robin rather than a group format has become the priority for the World Baseball Softball Confederation (WBSC) at Tokyo 2020 rather than ensuring a second venue in the capital city. The governing body also claim to remain confident that players from Major League Baseball (MLB) will participate in the Japanese capital. They hope to do this without introducing any break to the MLB season. Men's baseball and women's softball are each returning to the Olympic programme in the Japanese capital following a 12 year absence since the sports last appeared at Beijing 2008. Two six-team tournaments have been proposed in which the main venue in Yokohama will be supplemented by a second one over 300 kilometres to the north in Fukushima. The WBSC have repeatedly called for a second venue in the Tokyo Metropolitan Area, but now concede that this will not be essential so long as a round-robin format is used. They hope the Fukushima will only be used for opening games to reduce difficult journeys for certain teams. Japanese organisers have proposed having two groups of three teams. "We have to try to have the best possible schedule to have the opportunity for players to play more than one or two games," said WBSC President Riccardo Fraccari during the launch of their new slogan and logo here. "We are pushing for a round-robin format. "This proposal has been presented to the IOC and we will now speak with Tokyo." The Italian was speaking after MLB Commissioner Rob Manfred reiterated their opposition to the season being disrupted. "I can't imagine a situation where we would take the kind of break that would be necessary to have our best players in the Olympics," Manfred said. "As a result of that, we feel the WBC (World Baseball Classic) is crucial as a substitute, a premiere international tournament that allows our players to play for their countries." Fraccari claimed the situation is different from the negotiations ongoing in ice hockey over National Hockey League participation at Pyeongchang 2018 because they have other leagues that are as strong as the MLB. "I think that our case is completely different [from NHL]," he said. "But we already have MLB’s commitment in principle. The final qualifying procedure for both competitions has not yet been finalised. Japan, as hosts, are guaranteed positions in both events. It is likely that at least one other place will be available at the yet-to-be-awarded WBSC Premier 12 event expected to take place in November 2019. Continental qualifiers could also take place before some sort of final world qualification competition. Fraccari also revealed that they have been in talks with both Paris and Los Angeles about including baseball and softball on the Olympic programme in 2024 and 2028. An Extraordinary IOC Session here on Tuesday (July 12) approve the awarding of both Games at September 13 in Lima to the two cities. Discussions are currently ongoing to determine the order. Baseball and softball are not full members of the Olympic programme so would have to be proposed as additional sports again like they were for Tokyo.